In case there were any lingering doubts about Facebook's plans to make virtual reality more social, Oculus just unleashed a suite of new social features for the Gear VR. The Facebook-owned company is adding new Facebook sharing features, new social games and other features that will make Samsung's Gear VR more social. On the Facebook side of things, Gear VR is getting a dedicated section for Facebook videos. Beginning next week you'll also be able to connect your Facebook account in order to see a feed of 360-degree videos that's personalized based on the friends and pages you follow. 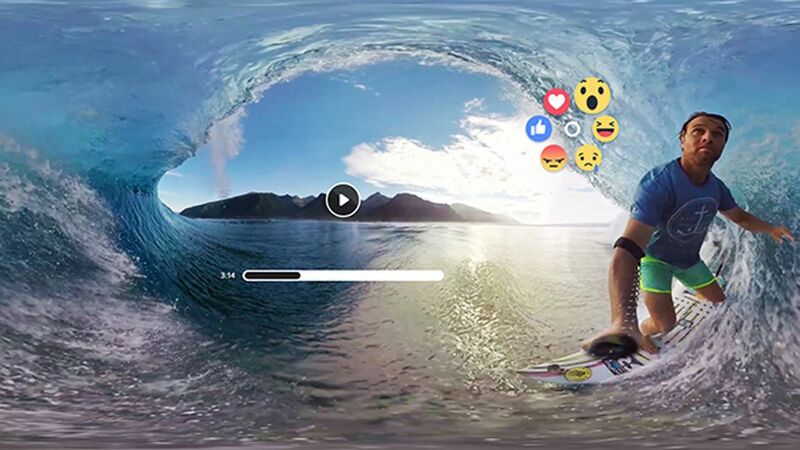 Facebook also plans to add the ability to like and share 360-degree videos in virtual reality. Oculus didn't detail exactly how this will work but, based on the images posted to its blog Wednesday, it looks like Facebook's new emoji-like reactions will be part of its new VR-ready sharing features. 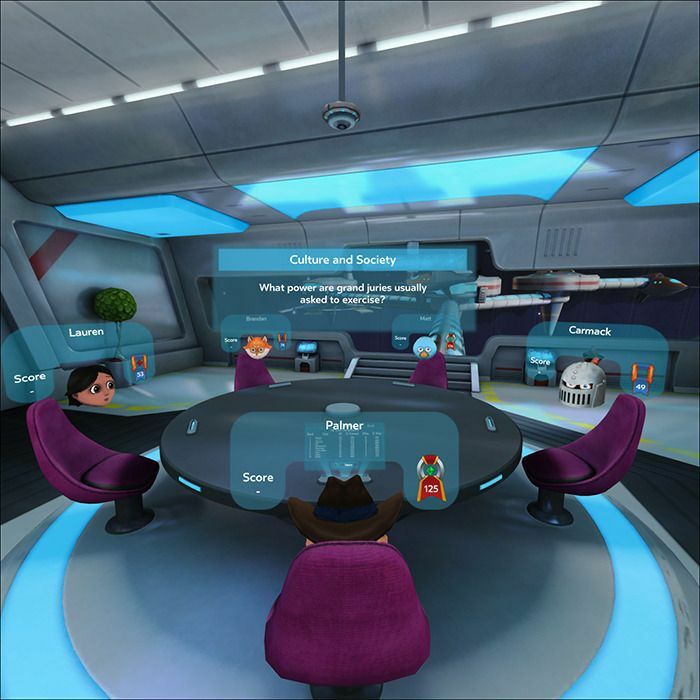 The Gear VR is also getting a set of dedicated social features and games. Starting Thursday, you'll be able to create a profile connected to your name and Oculus username in order to connect with friends on the platform. You'll also be able to create "rooms" in Oculus Social where you can watch Twitch and Vimeo streams with people you know in virtual reality. Oculus is also adding two new social games: Social Trivia (pictured below) and Herobound: Gladiators, which allows you to "band together with up to four people to conquer goblins and demons in arena battlefields," according to Oculus. Oculus' announcement follows Facebook CEO Mark Zuckerberg's appearance at Mobile World Congress in Barcelona last month, where he praised Samsung's Gear VR and said Facebook has created a "Social VR" team dedicated to creating more social experiences for virtual reality.